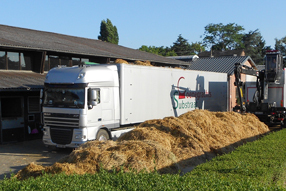 Since the three Coenegrachts brothers established Coenegrachts Substrate in 1996 and the new generation, Bart and Koen Coenegrachts, took over the management, the company has grown along with the market demand. In the beginning, the intention was to provide only for our own use in growing mushrooms. But because of the proven quality of our product, that quickly changed. In the meantime, full-grown mushroom substrate is being supplied to Belgium, the Netherlands and the rest of the world, such as Germany, Poland, France, United Arab Emirates, Malaysia, Lebanon, Jordan and Israel Thus, no country is too far! 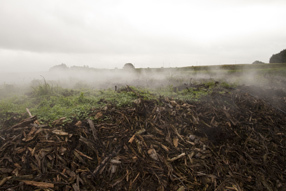 Through an expansion in 2006 de capacity rose to 23,000 tons of full-grown compost per year.In 2009, we started to closely cooperate with Vedemij B.V. and in 2012, operations at the newly constructed phase-one complex were initiated. 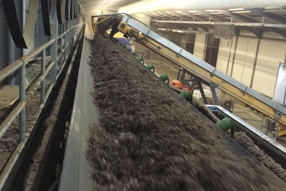 We can now produce 4,000 tons of indoor phase 1 compost a week. Also in 2012, the construction of a number of new tunnels led to an increase in total weekly capacity of 800 tons of grown-through compost. This, along with the expansions of the tunnel company, will ensure the future of the company. 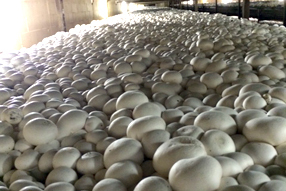 The production of mushroom substrate starts with the fermentation process, also called phase 1. 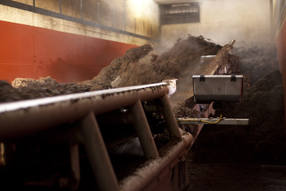 Phase 2, the sweating process, involves pasteurisation and conditioning. 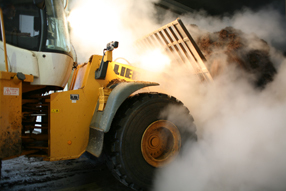 Having gone through both phases, the compost is suitable for the selective growth of the mushroom mycelium. 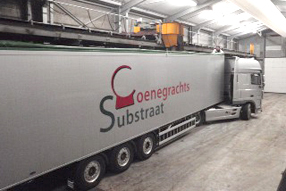 Coenegrachts Substrate processed annually tons of mushroom compost and exports the substrate packages all over the world. 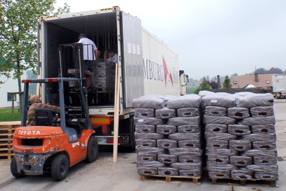 On request, blocs can be produced of between 18 & 22 kg. As a supplemental service, cover dirt can also be supplied in bags of 50 litres.